A group of Oxford researchers has revealed that Wikipedia software robots have waged a silent war for years, cancelling one another’s edits. Radio Sputnik talked to Dr. Taha Yasseri from the University of Oxford. The research shows that the Wikipedia’s bots have been interacting with each other in ways that sometimes led to unpredictable outcomes. For example, two most noticeable bots have been canceling more than two thousand of each other’s edits for over a year. “These bots are not supposed to override each other. They use the same technology and should be able to communicate with each other in a much more civilized way,” Taha Yasseri said. The software robots have been servicing Wikipedia ever since the project was launched. 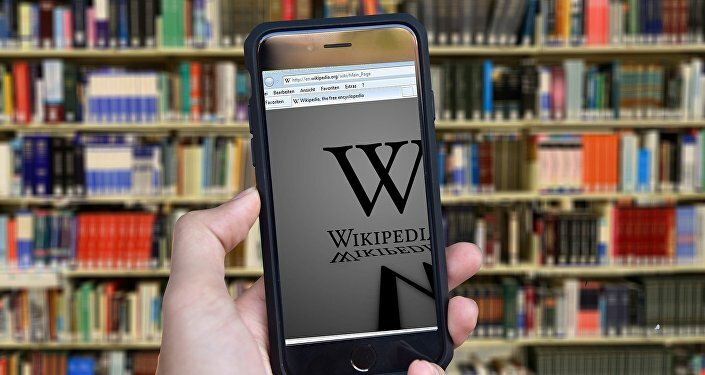 When asked whether Wikipedia provided all the data used by its software robots, Dr. Yasseri said that the whole history of the encyclopedia is recorded and so it can easily be accessed. When asked how these bots function, where they come from and if those willing to edit some of the Wikipedia articles can create their own bots, he said that creating a bot requires a certain degree of experience. However, the programmers, who create the bots, use different scripts that eventually lead to such conflicts. “There are no normal editors looking after the work being done by these bots and this is one of the reasons of the conflict we see going on between different bots. The main reason for conflicts is lack of central supervision of bots,” Taha Yasseri said. When asked whether Wikipedia should create one single bot to avoid conflicting information, overlaps and typos, he said that there were many bots working in many different language editions. “The openness of the system also makes these problems unavoidable, but we opted for an open system,” Dr. Taha Yasseri said in conclusion.